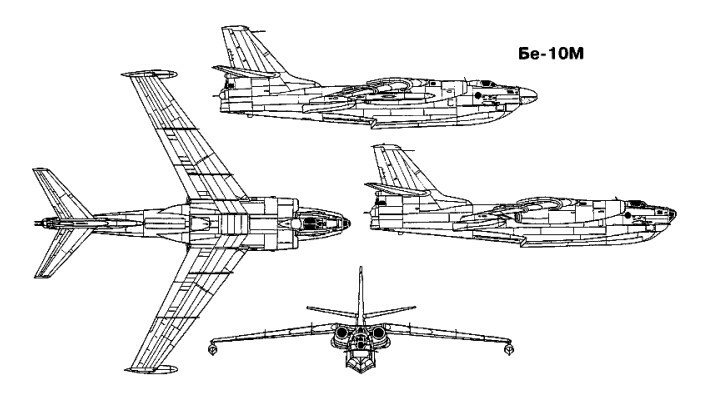 Developed from the R-1, the Be-10 flew for the first time on 20 July 1956 and was first seen in public on the 1961 Soviet Aviation Day, when four of the type flew past in formation. 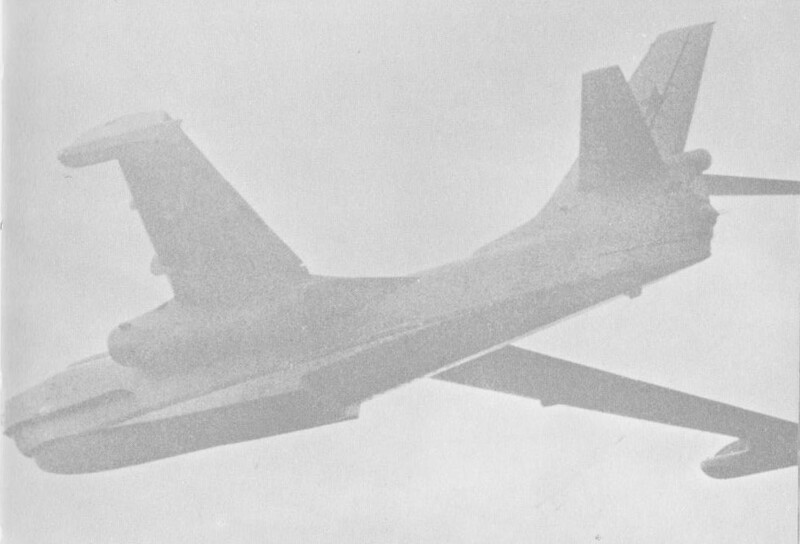 The Beriev Be-10 'Mallow' has the distinction of being the only turbojet-powered flying-boat in the world to have attained true production status. During 1961, and under the designation M-10, the type established 12 world class records. Among them were a speed record over a 15/25km course of 912km/h, piloted by Nikolai Andrievskii, and a speed of 875.86km/h over a 1000km closed circuit with a payload of 5000kg and an altitude record of 12733m with a 10000kg payload, with Georgi Buryanov at the controls. The all-metal Be-10 was a high-wing monoplane with sharply sweptback wings; these had considerable anhedral, and incorporated two wing fences and a fixed wing-tip stabilising float on each wing. Armament comprised two 23mm NS-23 cannon in the nose, plus two more operated under radar control in a tail barbette. Engines: 2 x Lyulka AL-7PB turbojets, 6500kg each.